The EU’s negotiator has warned the United Kingdom that withdrawing from the customs union will mean ‘barriers’ to trade. Mr Barnier demanded clarity from the UK, regarding the options it wants outside the European Union. 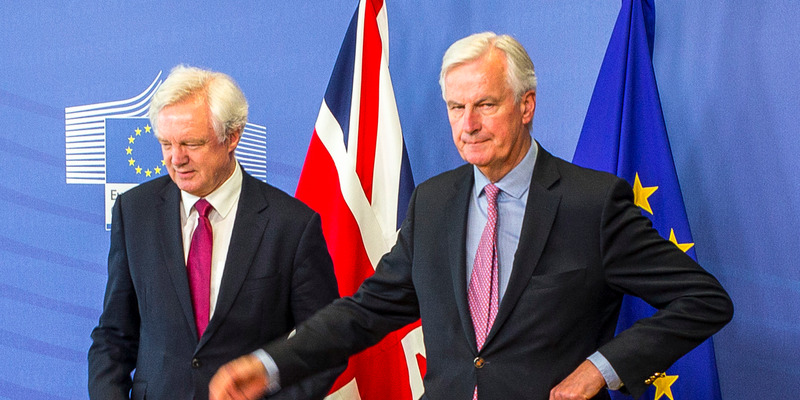 Michel Barnier told reporters that frictionless trade will be ‘inevitable’ and that the only way to not create barriers was to remain inside of the customs union. This move would effectively keep the UK locked in a situation where it could not deliver trade deals, which in turn would turn the UK into a colony of the European Union. He added that the EU needed more 'clarity' about what kind of deal the UK was seeking. A spokesperson for Mrs May said she wanted ‘as frictionless as trade as possible’ with the rest of the European Union. Many are now increasingly worried that the pro-European ministers within the Government are plotting to soften the UK’s withdrawal, with Hammond and Rudd being the prime suspects in this move. There has been leadership speculation in recent days, with many ready to sack May if she dampens her Brexit promise outside both the single market and customs union. Do you agree we should Leave the EU? Sign up here now! Read: "TRUMP: 'UK NHS IS BROKE AND DOES NOT WORK'"
Read: "Death threats sent to 80 year old by Remainiacs"